The J1850 VPW ECU Simulator is a valuable tool for the development and testing of OBDII diagnostic programs and hardware. This simulator has 5 user-adjustable and 6 fixed-value PIDs. The DTC button can be used to generate trouble codes and illuminate the MIL LED. The trouble codes can be cleared using a Service 4 request or by simply cycling the power to the simulator. Physical connection is made through a standard SAE J1962 connector. 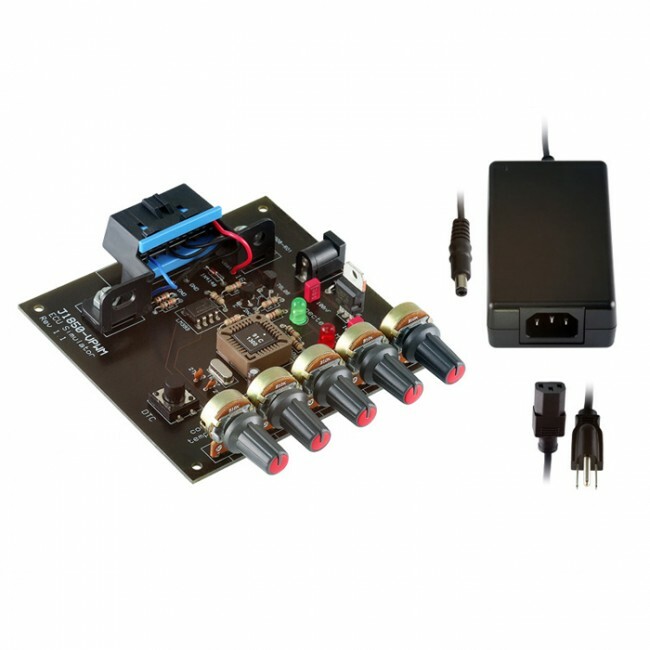 This item ships with a 12V switching power supply and a U.S. style/UL listed power cable.